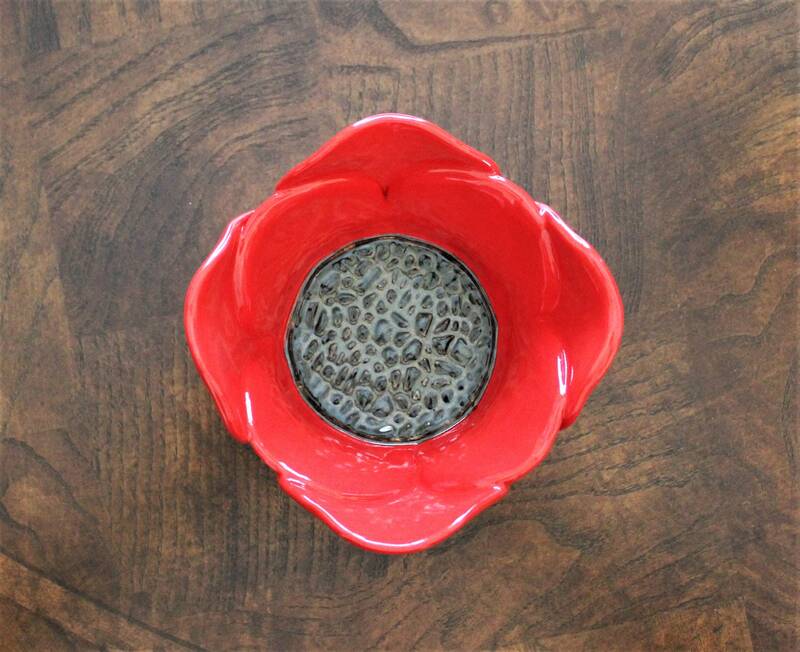 My small bright red poppy bowls have many uses. 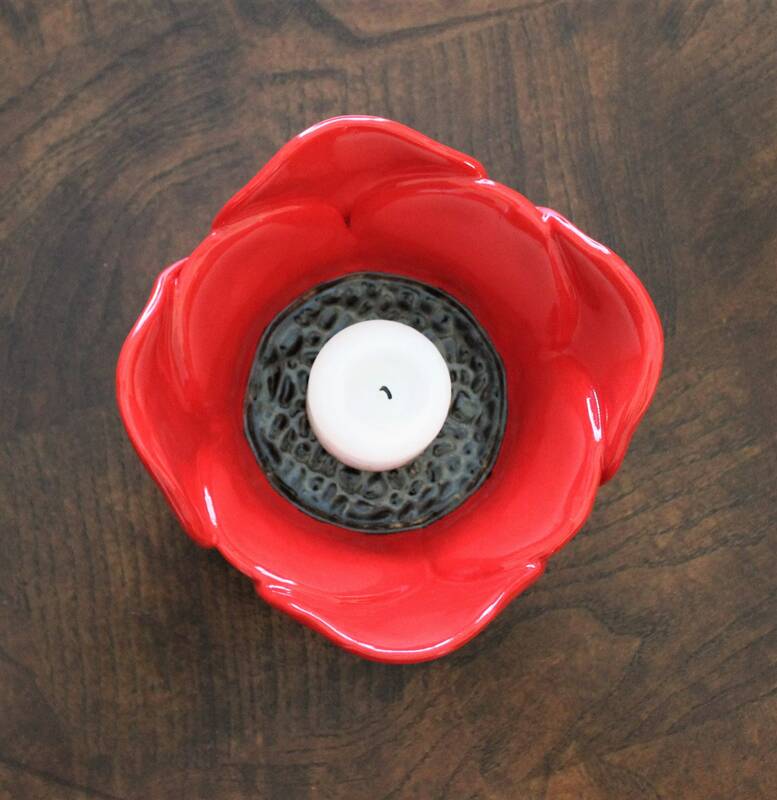 Place it on your bedside table to hold your jewelry or a small candle. 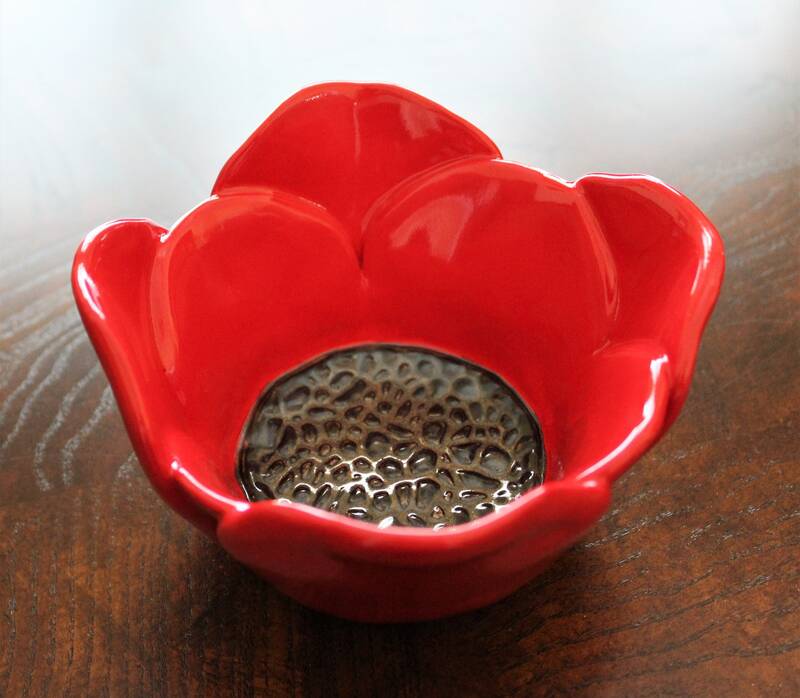 You can even use it as a small serving bowl, as it is both food and dishwasher safe. 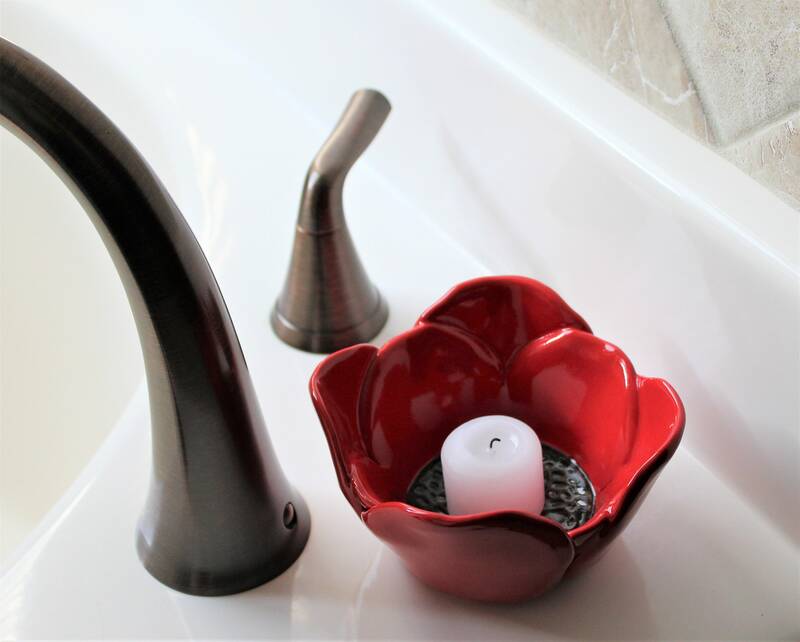 Ice Cream would taste so delicious in this bright red bowl! 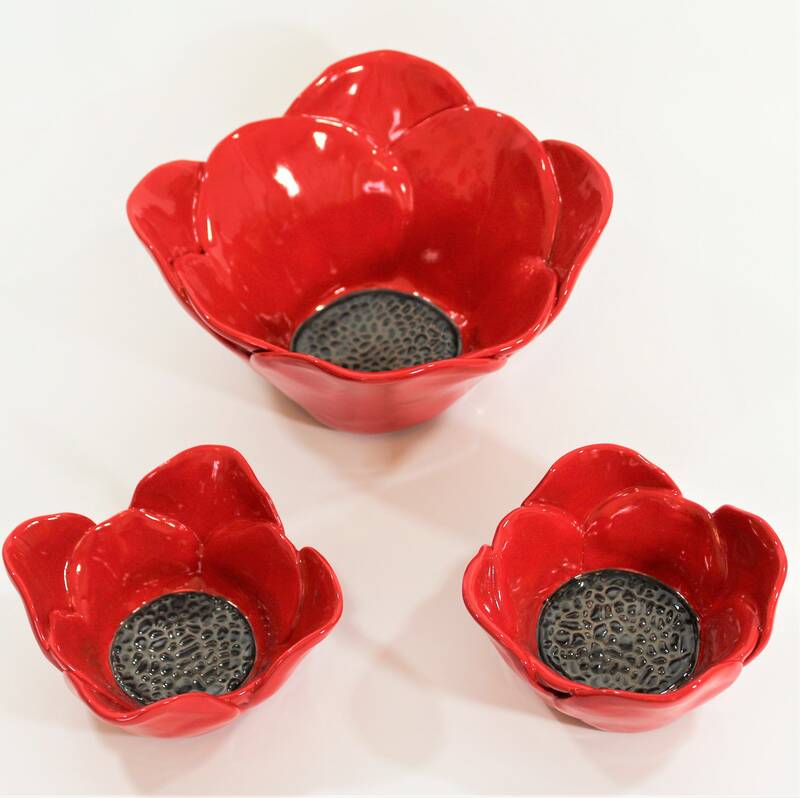 Made from stoneware clay, all of my flower bowls are created petal by petal. 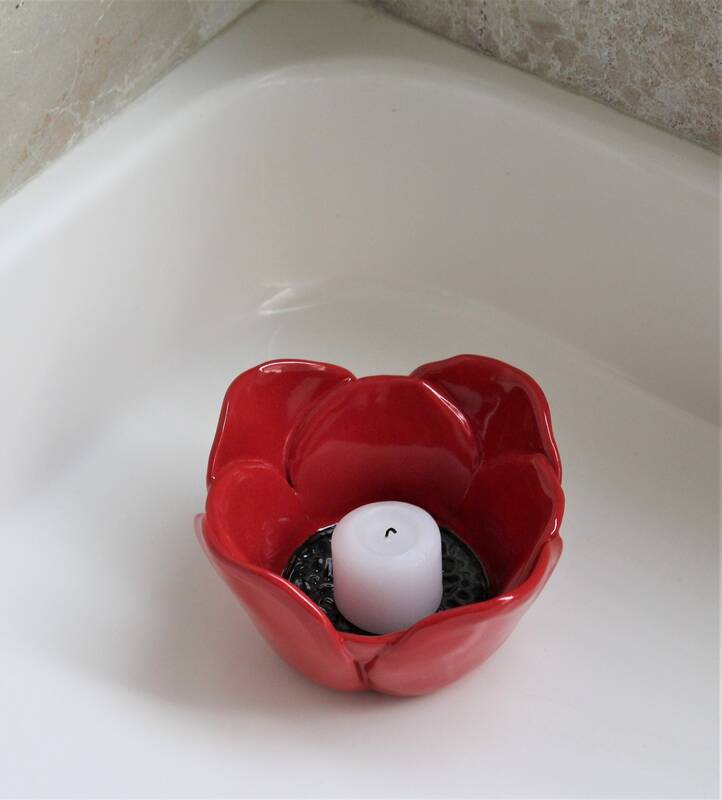 Once formed, each petal is cut, and then assembled into a bowl shape. 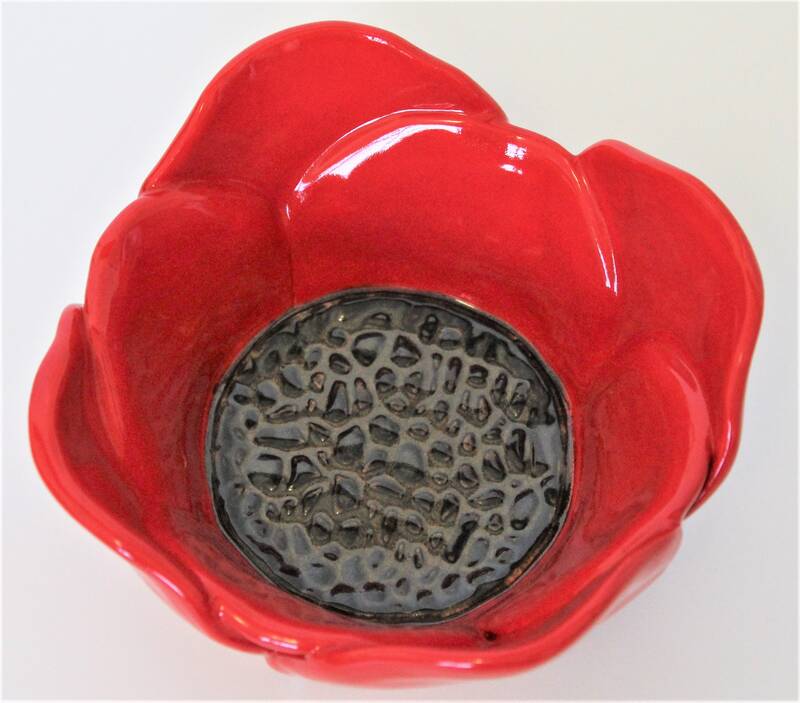 Kiln firing to cone 5 provides durability and lasting beauty. 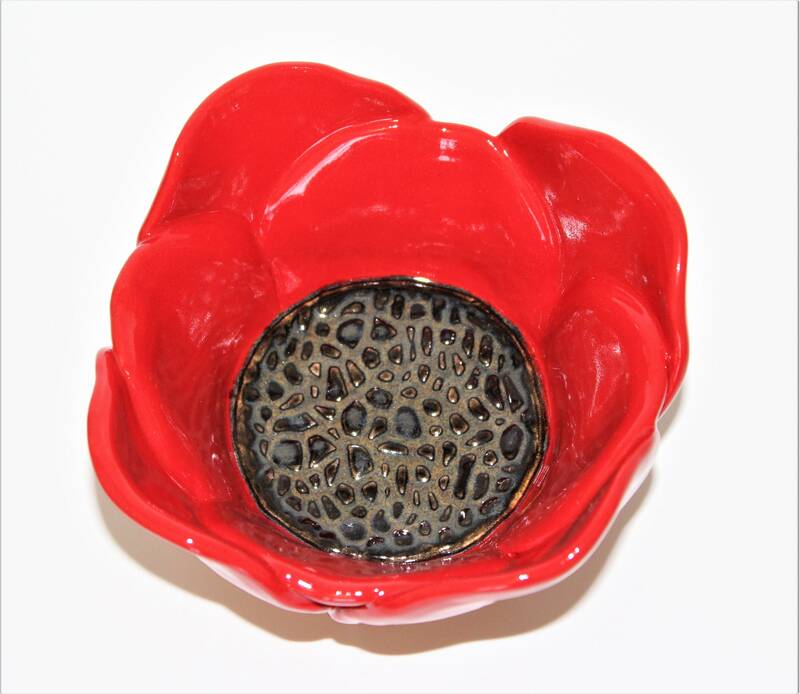 This bowl measures 3" in height and is approximately 5" in diameter. Each flower bowl I create is unique and no two are ever alike. 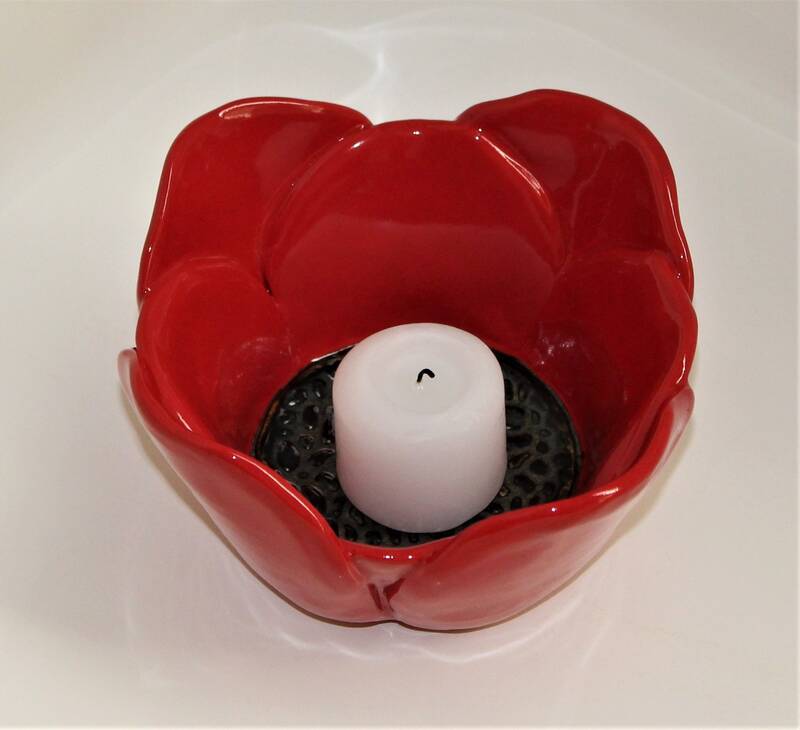 Makes a wonderful gift for birthdays or Mother's Day. I pack every order with great attention and pride so your purchase arrives at your door safely. My customer's satisfaction is always number one!